A quick story for those with busy lives. 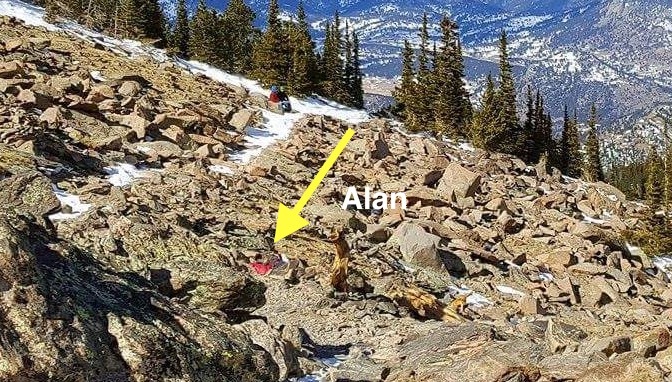 Two friends, Alan Arnette and Jim Davidson, were hiking along a path when the wind blew Alan over and he broke his leg. Jim called 911 and a bunch of people came and got Alan. Today Alan is home and is getting better. The End. The trail we were on was like a well worn shoe. We were training for something big, much bigger – 18,000 feet higher and on the other side of the world. With little warning a rogue wind gust blew me off my feet, into the air, twisting my helpless body along the way before violently depositing me on the sharp rocks of a talus field. The next ten hours became a case study in triage, rescue, communications and friendship. This post was written by Alan Arnette with edits and important additions of missing parts by Jim Davidson. Our hope is that this incident will provide lessons and inspiration to anyone caught in an unforeseen event that looks desperate in the moment. Friday morning, 10 February 2017 started off like many others during the last year for Jim Davidson and me. We set the alarm for an early wake up in order to meet at our usual spot. Watching the news that morning, long time friend and meteorologist, Chris Tomer, spoke of high winds in the mountains, not unusual for February in the Colorado Rocky Mountains but warmer than the normal temperatures. I checked my weather app for Estes Park and saw a high of 40 degrees with winds gusting to 40 mph. A familiar feeling came over me as I got dressed. Even with the warm temps, I pulled on my merino wool base layer, alpine mountaineering pants and a warm jacket. I often go to the mountains on days that some other people might consider unpleasant. I test gear, work on my mental toughness and practice skills that I may need on an 8000 meter peak. For example swapping out gloves for mittens and not having them fly away. This may sound silly but if it happens, frostbitten fingers are the result. Jim and I chatted nonstop during the one and half hour drive in my Jeep. We talked about his upcoming Everest climb, my Dhaulagiri climb, our training, gear and my work as an Alzheimer’s Advocate. The back seat of the Jeep looked like a yard-sale with stuff thrown everywhere. We had a bit of everything from snowshoes to down jackets, goggles, ski poles and mittens. I even had a pair of crampons in my pack. Based on hundreds of climbs over the years we knew we had to be prepared for any conditions in the Colorado High Country. Arriving at the empty trailhead, we got dressed. We pulled on our mountaineering boots and snowshoes then started trudging up the road to catch the trail that led into the pine forest. The wind was blowing hard, bending the tops of the densely packed pine trees. A few minutes into the hike, we paused to acknowledge that we needed to maintain a high awareness for beetle kill trees that might be knocked down by the wind. Several newly blown down trees were already blocking the popular trail. Snow covered the trail but it was in good shape, just what we wanted in order to work on our fitness that day. We expected to take around 2.5 hours to reach the summit and maybe half that to get down, seven miles round trip, a modest 2,475 foot gain. This was going to be a short day in the mountains as we had plans that night. We took pictures as we approached the tree line and prepared to leave the protection of the forest for the short half mile hike to the summit. With the wind gusting, I wanted to minimize our exposure by moving fast and suggested we leave our packs along with our snowshoes at tree line. Jim said he doesn’t like being separated from his pack and I agreed. I put on my heavy 800 fill Feathered Friends jacket, something I never do in Colorado because this jacket is overkill for the typical conditions. However with the wind blowing I thought it would be a good test of all the zippers and seams since I would be take it with me to Dhaulagiri next month. Jim was doing similar testing on some of his Everest gear. My pack was loaded with my regular winter gear including Gortex bibs, another down jacket, a Gortex jacket, mittens, hand warmers, food and water. My cell phone was in my pants pocket for easy access. A few feet beyond tree line, we began to follow the well marked rocky trail towards the summit. The snow was now sparse, usual for this area of Twin Sisters. The wind, gusting then calm, seemed to come from a fireplace bellow, pulsing in and out in unusually strong waves. One gust caused us to pause and lower our profile by squatting down on the trail. In between gusts, it was calm and warm on this clear February day. When a second strong gust occurred, we came together to discuss strategy. “I’d give us a 10% chance of reaching the summit in these winds and a 70% chance that something will go wrong.” Jim said. I pulled my down hood over my head mostly to keep my sunglasses from flying off. “Yeah, I don’t like this.” I had turned back at the same place in similar conditions only a few weeks earlier. I regularly talk about my three knock-down rule where I go to Longs Peak on a windy winter day before dawn. Dressed in my 8000 meter boots and full down suit I hike to tree line where a wide snow field emerges. This is where the wind typically begins to kick-up. My ‘rule’ is to get knocked sideways or even off my feet, falling gently onto the soft snow before making a hasty retreat back to the car. I call this ‘mental toughness’ training and it has served me well. 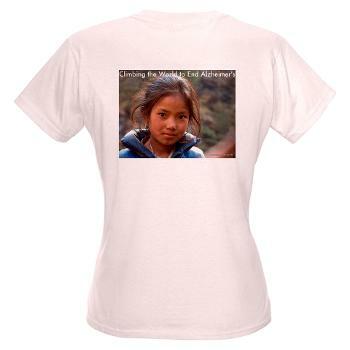 When I first started climbing big mountains, including Everest, I found I gave up too easily. By putting myself in this relatively safe but harsh situation, I could test gear, explore my limits and teach my mind and body that I could survive a difficult situation. This training allowed me to push myself on the Southeast Ridge of Everest when the winds hit 30 mph and the air temp was -20F. I summited that day in 2011 in a swift seven hours from the South Col. In 2014 on K2, I found myself developing HAPE, where fluid builds up in your lungs. Again, I was able to draw on a source of energy that I never knew existed as I fought to simply stay alive. I became the oldest and 18th American to summit K2 that day. Yes, pushing and testing myself in difficult conditions had become part of my training program, but I am not foolish. As Jim and I huddled only a few hundred yards from tree line, we did what we always do – share information, observations and experiences of similar situations. We discussed a few alternatives and the risks. We voiced the reason we were there. As we went through this two minute conversation, we came to the same conclusion: turn back now. I turned around on the rocky trail with Jim pausing to take one more picture. I became very focused on my footwork using my trekking poles for balance. A strong gust hit me from my left. It was sweeping down the talus field with a velocity that I had rarely seen on the 14,000 foot Longs Peak across the valley, much less on 11,000 foot Twin Sisters. I bent over, planting my trekking poles in the rocks to hold my place. A few seconds later the air was perfectly calm. I turned back to Jim and laughed out loud “Whew, that was a big one!” and picked up my pace towards the trees. I was less than 20 seconds from the safety of trees. With no warning my next sensation was losing my footing and being pushed to my right. For a split second, I felt totally helpless. It was a hard push that I had no control over. An instant later, I felt a pain in my lower right leg that transcended all my life’s injures including nine dislocated shoulders, torn ACL and meniscus knee injuries, sprains and strains. The intensity was breath taking, paralyzing. The pain was searing, debilitating. My mouth opened wide. I gasped for air while stretching my hands out to grab my leg. My eyes were shut tightly hoping that this was a horrible nightmare. I let out a primal scream that had no words, no translation other than I was hurt in a way I had never anticipated or had ever experienced. I was blown to my right, downhill, but landed with my head uphill meaning at some point the wind flipped me like a rag doll being tossed down a hill. I had flown 20 feet down the scree slope but remember only the beginning and the end. I landed on my right side, but had quickly rolled over. My shattered right leg demanded to rest somewhere other than on the sharp rocks. As I rolled, another anguished scream burst out. I was hurt badly, hurt tragically, hurt and lying alone on a sloping rock field at 11,000 feet. Then, for a moment, I felt calm. With my head resting on rocks surrounded by my forearms, I opened my eyes. My first sight was a pool of bright, glistening red blood with more draining from my face. I reached up with my gloved hand. It was instantly covered with blood, my blood. I lifted my head to find Jim only inches away. His arm around me, holding me tight. The look in his eyes revealed the seriousness of the situation yet his voice remaining calm and controlled. “Where does it hurt?” Jim began triage. He was following years of experience as a wilderness first responder. Jim had helped in many other climbing rescues and his own survival struggle experience on Mt Rainier in 1992 that he chronicled in the New York Times best-selling book, The Ledge. “My leg, my leg. I broke my leg” I moaned with no effort to hide the pain. Jim shifted down towards my leg as I put my head back into my the cradle of my arms. I felt his hand gently move over my pant leg testing for blood and if the bone had punctured the skin. I let out another agonizing scream much to my own disappointment. I thought I was stronger than that. An involuntary sob came out as I knew that my friend was seeing what neither of us ever wanted to see with a fellow climber. “OK, I’ll be right back. I’m going to call for help.” And with that my deepest fears began to surface. Jim was protecting me by only giving me information on a needs to know basis. I didn’t need to know my lower right leg was bent at enough of a grotesque angle that my tibia and probably fibula were broken. I didn’t need to know my nose was bent over an inch to the left, that my eyes were becoming black. That I was lying in a pool of my own blood on the side of a mountain. note: The previous 2 images and video were taken by Jim. His phone camera automatically takes a still before and after each video thus the sequence. Once he saw me fall, he came immediately to my aid and took no further pictures. There are no pictures of the next four hours as Jim was totally focused on my health and was alone. Pictures were not a priority. Thank you Jim. As I lay in the rocks. I slightly adjusted my position to remove a sharp rock from poking me in the side. Each tiny move was a struggle, each shift was painful. Jim spotted the only other people we had seen all day. A pair of visitors from Michigan were sitting on a rock near tree line and witnessed the entire incident. “He got blown off the trail.” one volunteered. “I know.” Jim said. Unbeknownst to me, Jim had witnessed the entire gust and my flight. “Are you an EMT?” Jim asked seeking any available assistance. The man in blue jeans and jacket said no. And with that Jim knew it was up to him to keep me stable until the ‘cavalry’ arrived. “Please stay here while I try to call for help.” The men easily agreed. Jim called 911 who connected him to the Rangers with Rocky Mountain National Park. Our location was right on the Park border but that didn’t stop help from being dispatched. Jim came back to me. I looked up at him, opening my eyes for the first time in many minutes. “Help is coming. I got ahold of the Rangers and they will get Search and Rescue involved.” It will take hours for them to reach us. It was 12:15 pm, Friday February 10, 2017. We broke eye contact knowing the afternoon would be difficult for me, and perhaps more so for Jim. We had to make the cell phone battery last the day. After each call to the Park Service incident commander, Jim would power off the phone and scramble back down and give me an update. The Rangers were working their way toward us. With the spare gear we had, he kept working to improve my comfort or care a bit. Supporting my broken leg with some clothes helped ease the pain some. He gave me half a Honey Stinger and a sip of water. After waiting half an hour to make sure I could tolerate it without vomiting, he gave me another 2 Honey Stingers and a bit of water. He kept looking at my boot. I knew enough first aid to know we had to get the boot off to allow blood to flow to my toes. But even the lightest touch was sending me into fits. On his calls to the Rangers, Jim verified the boot needed to come off. Jim called Rodney Ley, his long-time climbing partner who works in the outdoor education field at Colorado State University. 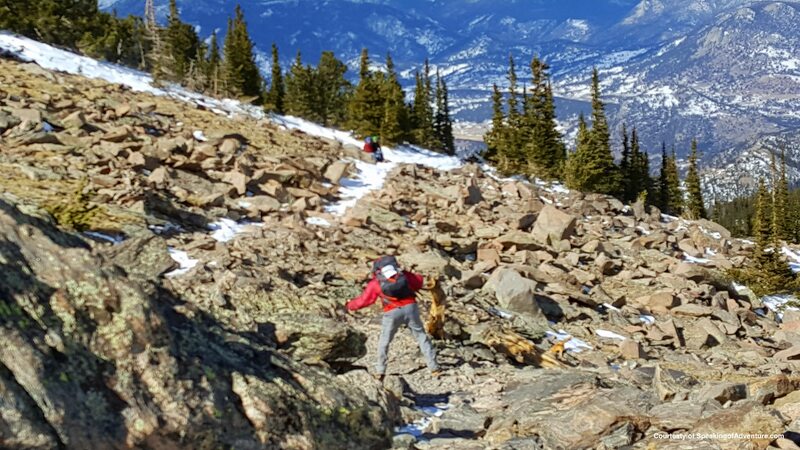 Rodney took the lead to call Global Rescue using my American Alpine Club member benefit to see if the $5,000 trailhead rescue applied in this case. Due to the high winds helicopter rescue was not an option but they did provide access to a nurse who also confirmed that Jim had been taking the right steps. Rodney kept communications open with friends and family. He supported Jim and provided comfort to me that everything was being done – even from far away. In addition Rodney provided Jim moral support and served as a valuable double-check of all the steps that Jim was taking. One area that everyone was in strong agreement about was that the boot must come off. During the random lulls in the wind and the waves of pain wrenching my body, Jim would bring up the boot situation. I knew he was right but I had a hard time agreeing knowing the pain it would bring. I could see the anguish in Jim’s eyes and hear the pain in voice knowing his action may cause me further pain. Now sitting next to me, Jim asked in a soft voice if he could loosen the laces. I said yes. I knew what he was doing but a general numb feeling had taken over my leg and foot so the pain was muted. I couldn’t lift my head to watch. As the laces relaxed, Jim was able to pull my pant leg, base layer and socks partially aside. He reassured me that so far, he saw no bones or blood there. Though he kept it to himself then, Jim later told me that he could feel “crepitis”, the grinding of bone on bone, just below my skin. Time passed. Jim had given me four Advil but the pain came in wrenching waves. I did my best to control my reaction knowing it would not help me or Jim to hear my distress. But at times, I just couldn’t hold it in. The Rangers were on their way, but it would still be another hour or more. There was not much more we could do. Except the one thing we had both been dreading – the boot. During a period of low pain for me, we talked a bit. I was becoming detached. Jim said we needed to get that boot off. “The rangers will be here soon with pain meds and gear. But right now we need to get this boot off. It’ll be the last hard hurdle that we need to do”. There was a quiet pause. I said “Okay. I trust you. 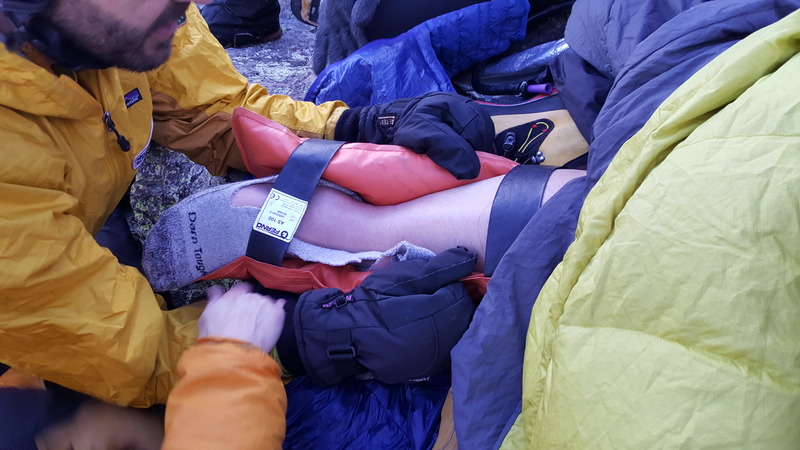 Do what you need to do.” Jim suggested “I’m going pull the boot heel slightly away from your foot.” As he tugged on my leather mountaineering boot, I felt a separation and knew if there was a moment to pull the boot off completely that this was it. And with that, Jim demonstrating unbelievable mental toughness and courage, made one swift move to remove the boot from my foot. 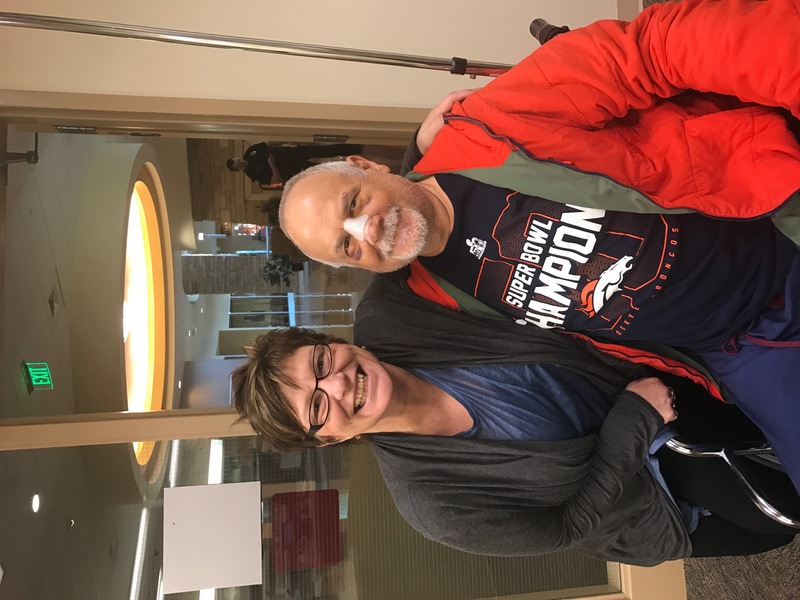 Through my pain, I heard Jim exclaim “Great news – no bones visible and no blood. That’s good Alan. That’s good! We did it! What a team! We did it!! Way to go! I’m proud of you” Jim was exuberant. I felt the cold air against my socked foot as another wave of pain swept over me, but this time I controlled the pain with a deep wince and let my head fall back into the comfort of my arms only to release tears and sobs. “We did it Jim. We did it. Thank you. Thank you.” was all I could get out. As the sun began to move lower towards the Continental Divide, the unusually warm air began to cool. The winds had not let up all afternoon forcing Jim to crawl on all fours to keep from being blown over. Later we would learn that the winds had been clocked in the area between 60 mph and 80 mph with gusts close to 100 mph that day. “We will lose the sun soon” Jim said. Until now the bright sunlight had been a friend. My spirits sank as I thought about lying in the rocks in the cold dark. Every time we felt a strong gust, my friend held me tight in his arms, protecting me from the very source that created this chaos. He wrapped my open foot in my down jacket, then my Gortex shells. We tried to get my foot inside Jim’s pack for more warmth, but the two unnatural bends in my lower leg made that impossible. We replaced my bloody gloves with warm mittens. I allowed myself to shiver to stay warm but did my very best not to lose control and go into shock. Around 4:00 pm, Jim sat silent by my feet sometimes squeezing my right foot and asking me to move my toes. I couldn’t move my toes. I could feel his hand on my back, see the look in his eye, and hear his steady voice. My friend brought me great comfort in the smallest ways. I was not alone. “Well, it looks like your modeling career may be over.” Jim joked. “Yeah and no dancing tonight with Glo and Di!” I sighed. True to our relationship, even in the darkest of times, we kept it lite, easy, comforting. But our laughs were short and muted. My mind had drifted often over the previous four hours. I had to fight to stay alert, and in the moment. But as I drifted, I thought of my previous climbs when I was in trouble and how I survived. In my mind, I visited my circle of friends and family and had a short conversation with each one. I pondered the pragmatic steps I could take to help myself. I knew that when help arrived the next steps would be the most difficult of my life. I never considered that I would die that day on Twin Sisters. My climb of the 26,795 foot Dhaulagiri in Nepal planned for April 2017, was now gone. I had been excited to use that climb to raise money and awareness for Alzheimer’s but now all the planning and all my training had come to an abrupt halt. Maybe people would still donate, I silently said to myself. I smiled as I thought of my mom, Ida Arnette. She always said to me after a big climb “Well, I’m glad you got that out of your system.” I wonder what she would say now seeing me lying in the rocks. We settled in for the wait, boot off and foot wrapped. Everything that could be done, was done. Moments later four new faces peered down on me. New strong hands touched my shoulders and new voices began the process of accessing the scene. Ranger Mike and Chris took the rescue lead. Ranger Amber managed medical. They cut away my pants leg to get a better look. They confirmed – no protruding bones, no blood. This was the best news all afternoon. “Alan, I’m Amber and we are here to help you.” “Thank you, yes.” was my faint reply. I had been expecting what she said, but to hear it live brought all my senses to life. “Yes.” I began to use that simple word to communicate my understanding and willingness. The next few minutes were excruciating. They lifted my right leg a few inches off the rocks to slip the air splint underneath. It felt like they were lifting it over my head. All sense of perspective was gone. I had lost any context as to what was happening to me physically. “What are you doing to me?” I cried out knowing they were helping but not understanding why they were causing me more pain. Amber came close to my face, making eye contact. “Alan, its over, the splint is on.” I relaxed a bit as the third dose of pain medicine she had injected in my shoulder was beginning to have an effect. With my eyes closed and now on my back, I pulled my heavy down jacket hood over my head. I hoped the worst had passed. I could smell my own blood. The Rangers and Jim huddled creating a plan and discussing options. I could hear bits but choose not to listen. “Alan, we need you to participate in your own rescue.” It was Amber again. “Yes” I responded, not fully understanding what she was asking of me but this powerful statement once again brought all my senses to life. “Alan, can you walk to tree line? I never answered that question as the Rangers began to rig a litter and cover me with warm layers. It was dark now and the winds continued like an angry dragon. Out came the headlamps. “On 3. 1,2,3” and with that the four Rangers and Jim lifted my battered body off the rocks and to the trail, 20 feet higher on the slope. A phrase had gone thru my mind all day “I don’t want to be in the rocks. I don’t want to be in the rocks.” It was a silent plea that I still hear as I struggle to fall asleep today. I was out of the rocks and soon resting on the soft snow just inside tree line, protected from the wind. I heard more voices. Search and Rescue volunteers from Larimer County and Rocky Mountain Rescue had arrived. 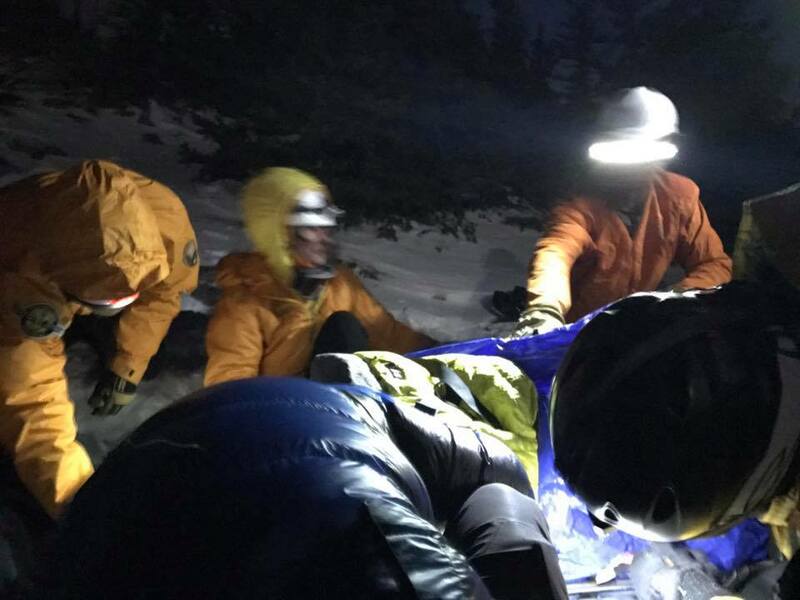 Someone said there were 40 people now at 11,000 feet on a dark and cold Friday night to help save my life. I sobbed uncontrollably in my cocoon as I heard those numbers knowing that these are volunteers who pay for their own gas, food and gear. They invest months to train for rescues like this with the only payback being the knowledge of helping someone in need. Without a lot of conversation, they got to work. Their professionalism, precision and training were evident. 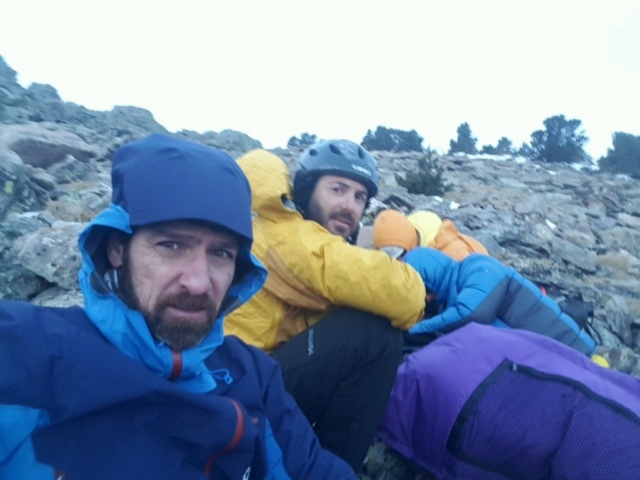 Working as a unified team, they rigged my litter, covered me from the blowing snow, administrated more pain meds and then, moved me slowly, carefully, and controlled down 2,300 feet over rough terrain in the dark. They had even brought chain saws to cut the down trees to make way for the rig. Their language was precise. “Anyone not ready?” If no one spoke, then “On 3. 1,2,3”. This efficient use of language ensured no confusion and enabled them to move as quickly as possible with no further incident. The first rule of rescues is for the rescuer not to become a victim. I tried to relax in my warm cocoon but tensed as we sometimes shifted into a fast slide down a snow slope. At each brief break Amber checked on me. A volunteer Physician from the Estes Medical Center had also joined the team. Through my peep hole in the liter, I could see the tree tops as I slid under. I knew this trail so well. I knew every turn. It felt like I knew every dead tree. All of a sudden, I got anxious, alarmed, afraid. I called out. “Alan, it’s Amber what do you need?” I struggled to answer. “Sensing I was losing control, she gently asked ”Do you want more pain meds?” “No” I squeaked out, already feeling like I was losing it. Together we counted “1 2 3 4 5 6 7 8 9 10” My breathing calmed and the crisis passed. My muscles relaxed and my head fell back into my wrappings. After four hours of movement, we reached the trailhead where an ambulance stood ready. It was 10:00 pm, Friday night, a full 10 hours after the winds lifted me off my feet. As quickly as they arrived, the almost invisible rescuers disappeared as I was loaded into the ambulance. Jess took my wrist as she began to put an IV into my arm. “Long day?” the ambulance nurse said with a soft comforting smile. She was already briefed on what had happened. 10 minutes later I was in the Estes Park Medical Center Emergency Room – not what I was planning at 10:00 pm on this Friday night. A few X-Rays later, it was clear that my pain was real, my situation dire and being in the ER was exactly what I needed. Jim sat in a chair, never leaving my side. Dr. Lee came into the ER and immediately I felt in good hands. He checked me thoroughly for other injuries, while joking about my “bent” nose but focusing on my right lower leg. I was finally able to call Diane, hear her voice and let her know that I would be home ‘soon’. 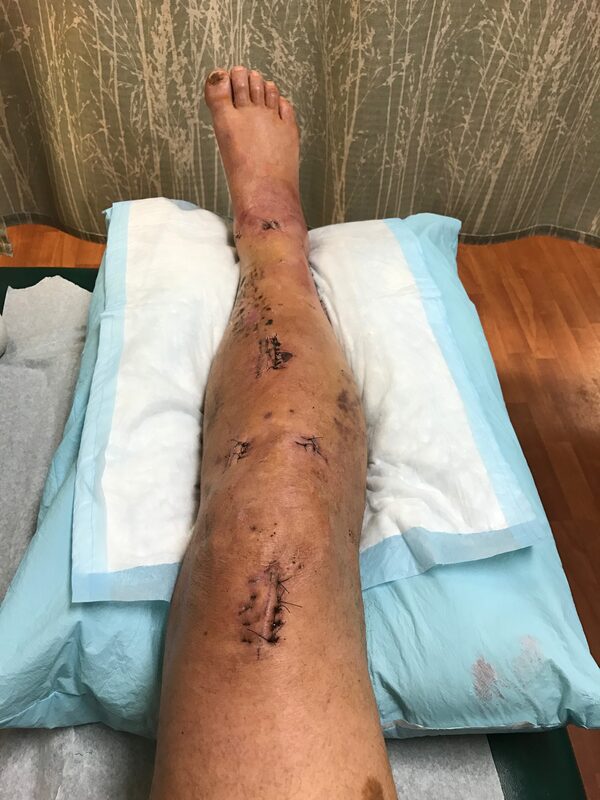 They gave me some unbelievable “horse tranquilizer” that sent me to a place in-between here and there while taking off the inflatable splint, performing a reduction on my lower leg and placing it in an “ortho glass splint”. I would be disingenuous to say this procedure was painless. Perhaps it was the fact that I was conscious, seeing everything but feeling nothing. A very ‘out of this world’ moment. As the tranquilizer wore off, my head sank into the pillow. I was weary of the pain and just wanted it to go away. I was tired, very tired. I looked over at Jim sitting in the chair. He looked exhausted. He had given me everything he had. He placed my well being before the profits of the hospital. And with that I was loaded into an ambulance for the 1.5 hour ride to MCR, Jim still by my side. 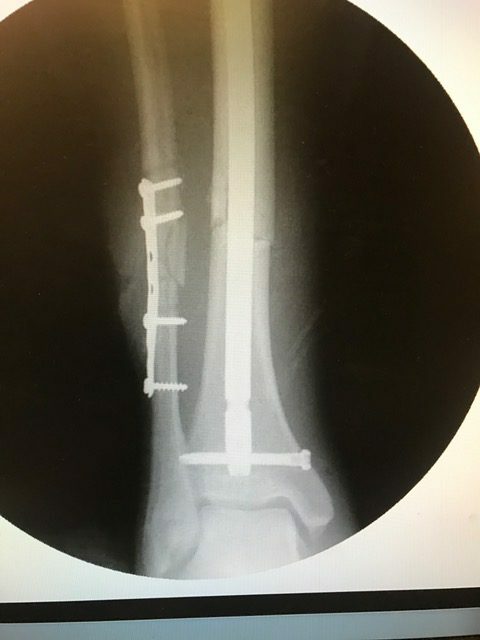 I asked a few questions and understood they would drill out the bone marrow from my tibia then drive a titanium rod into the center to provide stability. 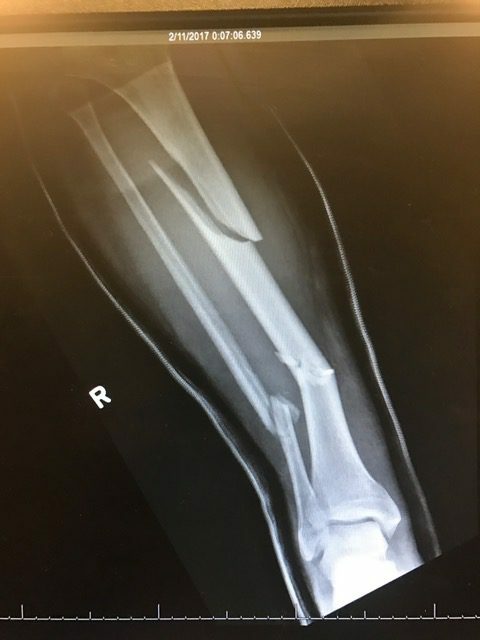 Given the multiple breaks; pins and plates would be attached to help with healing. I would be in a cast then boot from 4 to 8 weeks. Rehab would be key to my recovery. I should be as good as I am today in about a year. The next few days went as scheduled but my twisted nose came into focus now that the leg was addressed. Dr. Orr took one look and almost yawned at the lack of challenge. Actually he said it would take about an hour under full anesthesia to address the internal fracture of my nasal cavity. My right cheek was numb near my lip. The feeling would take months to return. Somewhere during my flight, my face had taken a direct hit on the rocks and moved my face around. A couple of days later, I was discharged from the hospital with my nose stuffed with gauze, my leg wrapped in padding and my puncture wound emitting staples, oh yeah, I didn’t mention that! But never mind. Diane, who had been by my side through much of the hospital stay, loaded me into her car for the ride home. I moaned as I gingerly navigated my crutches to get inside. I sat heavily on the couch. Diane had put the smiling Buddha directly in front of me. He was wearing my sundie strings from Everest, K2 and Manaslu. I had to take them off for surgery. I looked into Buddha’s broad smile. I looked at my simple strings put on by Kami Sherpa and others for protection as I climbed 8000 meter peaks. I thought about Jim and all he meant to me, his focus during our incident yet I knew he must have been having flashbacks from other rescues that he’d done, especially from his desperate attempt to try to save his climbing partner that died in 1992 on Rainier. Again, I thought of the scores of volunteers who never shared their name but silently marched downhill, their charge in hand, fulfilling their mission without awards or publicity. Sitting on the couch, I mentally reviewed that Friday. Had we done anything wrong? Should I had been more conservative and never left tree line? My mind drifted to other scenarios such as what if I had not put on my heavy down jacket, carried the extra gear in my pack? What if Jim’s cell phone didn’t get a connection? What if I had been alone? As I sat on the couch, not saying a word, I looked out the window with a thousand yard stare at the wind moving the tree branches. I need to physically heal. Emotionally, I think I am in a good place but it is early. I’m still having trouble sleeping and waves of emotion engulf me without notice. It took months for me to recover from my K2 experience. But I just don’t see the negative in this incident. A true friendship was given an opportunity to shine. Experience and preparation proved their investment. I am a better person today because of that gust of wind. I will step foot on more mountains, in good and difficult weather. Climbing remains my passion. I often say that not reaching the summit of a mountain is similar to medical researchers not completing a clinical trial – it is only a failure if you don’t learn anything. I will continue to be a dedicated Alzheimer’s Advocate. Dhaulagiri being cancelled won’t stop that. There are many ways to bring attention to worthy research non-profits and caregivers. 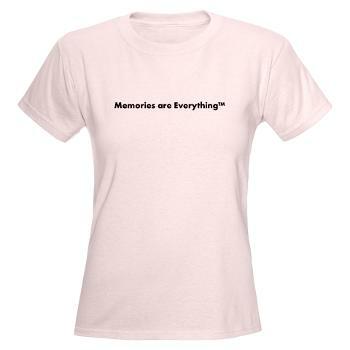 Alzheimer’s remains my purpose. I learned a lot from this incident. Do I wish I hadn’t broken my face and leg – umm, yes! And life moves forward one step at a time with gratitude. It was and continues to be a positive experience. note: This post was written by Alan Arnette with edits and important additions of missing parts by Jim Davidson. Based on pictures and videos taken by Jim Davidson and Alan Arnette, this 2 minute video tells the story. It sounds like your friend Jim did everything just right. And the rescue teams did a great job. I hope you have a speedy recovery and that you can get back to the mountains soon. Thanks Pat for giving me the benefit of the doubt that I can move fast! 🙂 While it may have appeared I was moving quickly, my memory is that while I was moving with purpose to get to the safety of the treeline, I was not rushing. What you may have seen, and matches my recall, is the wind was moving me around. When that big gust hit, I honestly think I could have been running or standing still and the results would have been the same. Thanks for the comment. Yikes, what a day, what an adventure, what a lucky soul you are, in many ways. Recovery will be a challenge for such an active guy but maybe a little chuckle will help pass the time! Oh my gosh, I can only imagine how horrendous the experience was. I’ve spent a lot of time in CO and hiked several 14ers, and those dreaded rock fields always make me nervous. Thank goodness you’re OK and you had such an amazing team of folks to get you out safely and fix you up. Wow, and wow. Here’s to fast healing! I’m so glad you were well prepared and with an experienced friend. Bless you and all the volunteers who performed the rescue. Rest well and heal up, Alan! I’ve enjoyed your blog for several years and look forward to more, when you’re ready and able. Stunning honesty which I am grateful for as someone just embarking on my mountaineering experience. The best to you Alan in your recovery, and thank you for the level of truth — many will learn from you … yet again. In gratitude. Wow Alan, definitely quite the experience. I’m glad you had your best friend with you that day and your still able to share your story with us. Unfortunately your not returning to Nepal this spring, but on the bright side you’ll have lots of time to follow the Everest stories and share them with us. All the best to a speedy recovery. Jim is the real hero in this ordeal. That is one guy I’d want to climb with! As one who follows your blog regularly, I was so moved by your post yesterday. I’m so happy you are on the mend. Your accident, rescue & recovery is an amazing story and proof in these times about what friendship, strength and teamwork can do. The dedication of Jim and all the people who helped you is incredible. I know that in the future you will “Climb On”. The mountains will always be there when you are ready. In the meantime, please keep on posting and get better soon. Alan, glad you are safe and wishing you a speedy recovery. The EMT’s words “… we need you to participate in your own recovery” were powerful words indeed, and have relevance in so many aspects of life. Thanks for sharing! My goodness! That sounded very traumatic for you & your colleague. It’s a good job he (and you) knew what you were doing. Not to dismiss your experience in any way I guess it could have been so much worse so for that you must be grateful? I wish you well in your recovery Sir! As one who follows your blog, Alan, this was incredible to read today. I am so happy that you were fortunate to have such excellent care and Jim by your side. As others have said, the mountains will be there next time. Glad you are mending and please keep on writing and reporting! What a sad story with a comforting ending. Thanks for the detailed description. To think that this can happen to two well trained mountaineers, I can understand how those less prepared & inadequately equipped adventurers get into trouble. So sorry you will have to sit this one out. I hope your healing is rapid. My best to you & Jim. Wow! I am so glad you are alright! Thank you for sharing this incredible experience, and Kudos to Jim and all of the others who came to your rescue that day. It is a special gift to be able to share in such an experience from your perspective! Heal well and know you are in the caring thoughts of many. Oh Alan, what a terrible time you had, but like Jim said, you were very fortunate you did not have a head injury. I hope you are healing well and that you get back to climbing again soon. 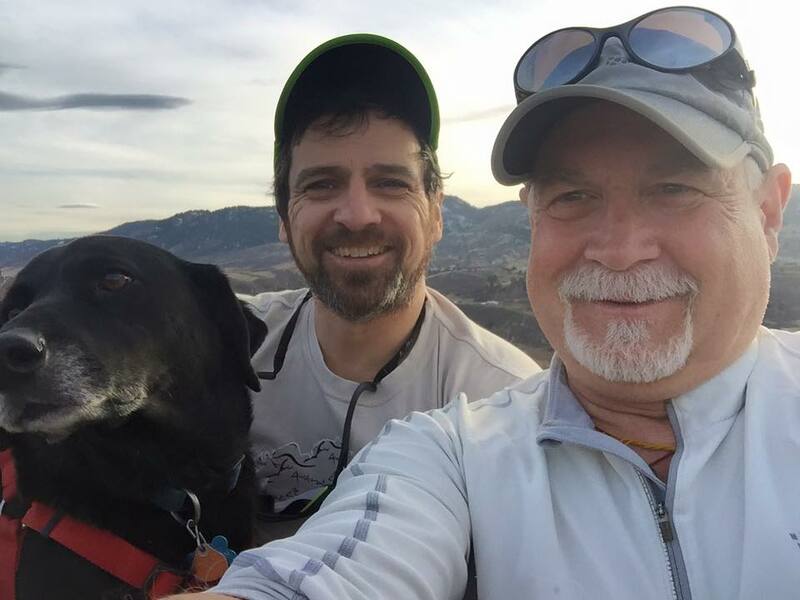 So glad you are recovering and had Jim by your side.. the Mountains will wait…And you will climb again. Thanks for sharing your story so we can learn and be more prepared for the unexpected!! I’m super glad this worked out as well as it did. Get better soon!